← Who Defines Quality These Days? My wife recommended this book to me. It was written by a neurosurgeon, Henry Marsh, to whom she was referred with back pain. We both met him in his outpatient clinic, and he impressed us – partly because he said that no surgery would be required. When Mr Marsh’s book was published and was shortlisted for a 2014 Costa Award, my wife naturally wanted to read it. The book is subtitled “Stories of Life, Death and Brain Surgery”, and I found it to be a very engaging read. 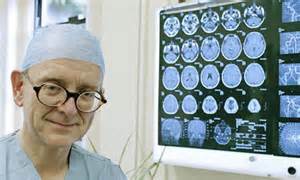 The subject matter: brain surgery is quite mysterious, but Mr Marsh explains procedures so that the main points are quite understandable without being technically obscure. His writing flows pleasantly, and sincerely; one never feels that he is the least bit condescending. In fact, he lays bare the mistakes he has made in surgery, and reveals the anguish he has felt. Successful, life-saving procedures are dealt with matter-of-factly. With twenty-five chapters, each dealing with a different condition, one feels well-exposed to brain surgery. Mr Marsh tells the reader of his development from nursing aide to med school, through the doctors’ hierarchy to consultant, and includes vignettes of the teaching of junior doctors. The book is not from a doctor’s perspective only; he reveals the thinking and the feelings of patients, too. The hospital setting is covered: nurses are caring but over-worked; managers are bureaucratic, unsympathetic and stubborn. Stories from his voluntary practice in Ukraine are included, as well, and these provide a strong contrast to the state of the art and the clinical and management culture in the UK. One can’t help but feel, as one reads the book: Why in the world would anyone want to be a neurosurgeon, given the complex opportunities for failure? Mr Marsh doesn’t answer this question directly, but I think his view would be that the euphoria that one can feel from saving a life or advancing the technology more than offsets the anguish one feels from a mistake that leaves a patient paralysed. Given, therefore, that a neurosurgeon has control over the life and death of his (or her) patients, Isn’t it tempting for a neurosurgeon to feel like a god? Again, Mr Marsh does not answer directly. He seems to say that any pretence at being a god is destroyed in the humility of the learning process. Do No Harm was one of five books shortlisted in the biography category of a Costa Book Award in 2014. The winning book was H is for Hawk by Helen Macdonald about her struggle to train a goshawk. On the face of it, one would think that Marsh’s book would have a leg up: after all, a book about the ramifications of life-saving surgery sounds more important than the difficulty of training a very wild animal. Perhaps a clue can be found in what the Costa judges said about H is for Hawk: “A unique and beautiful book with a searing emotional honesty, and descriptive language that is unparalleled in modern literature.” I haven’t read H is for Hawk, but what I think the judges are saying is that Helen Macdonald’s writing is what won the prize for her. Still, I would recommend putting Do No Harm at the top of your reading list.